Two cards in a row from this deck telling us to consider our security and stability. 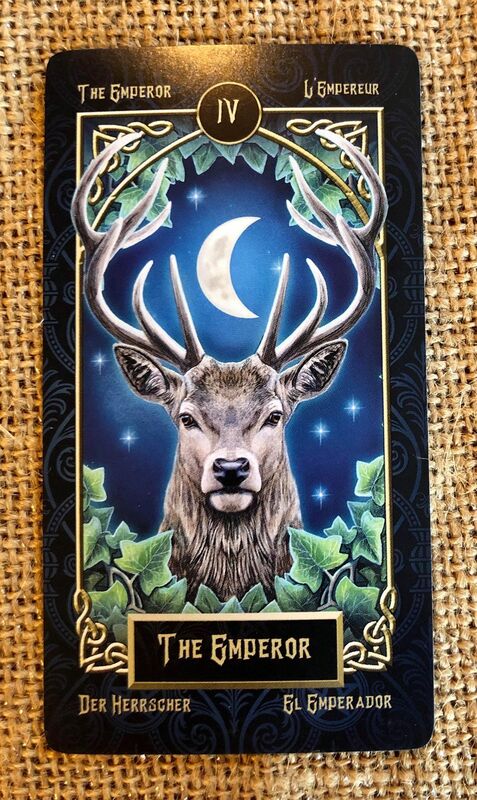 Another strong masculine card. Perhaps now is the time to control our emotions and make sure to get things done. Also, the two cards with this one were The Magician (will power, diplomacy, strategy, etc.) and The Chariot (conflict – possibly overcome, conflict and vengeance, fleeing from reality, etc.). 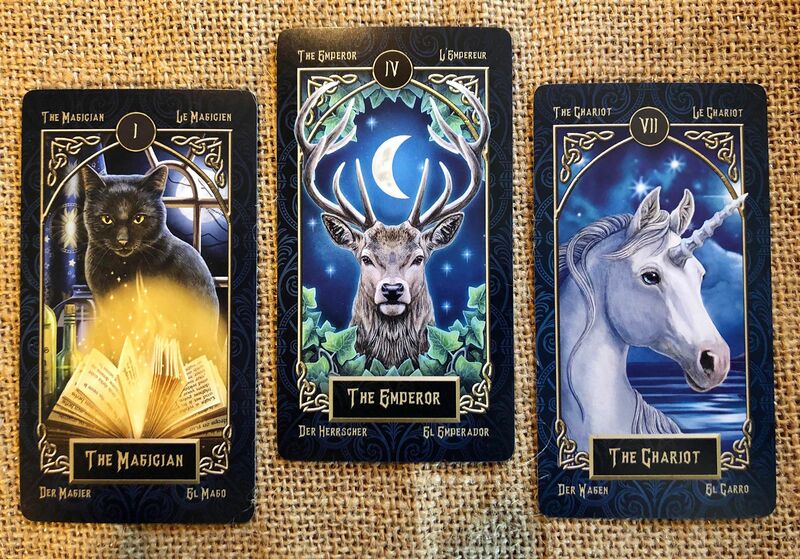 I do use this deck more as an oracle – without the pips – so this stacked spread isn’t as unlikely as with a full tarot deck, but it is still eye opening. Meaning: Self-control through intelligence. Worldly powers, accomplishment, confidence, wealth, stability, authority, indomitable spirit, conviction, strength, attainment of goals. On the flip side, it could mean immaturity, lack of strength, indecision, failure to control petty emotions.